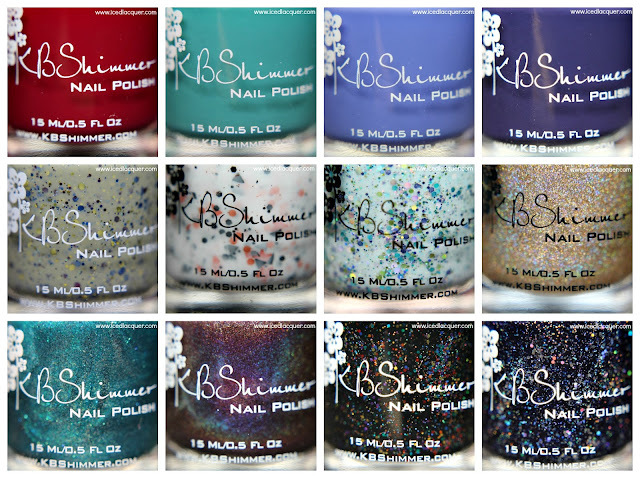 I'm still working on my swatches for the KBShimmer Fall 2015 Collection, but in the meantime I wanted to show you a breakdown of all the beautiful shades! Make sure you check back soon for my nail swatches and review! I've Seen Sweater Days & I Feel Gourd-geous give me grabby hands! I need Be Scareful, Talk Qwerty to Me, Fig-Get About It, and Dark & Twisty (honestly, mostly for the name). NEED. Not just want.